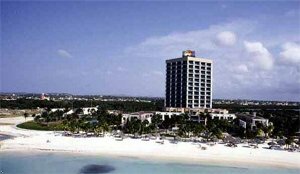 Enjoy the snow-white sands of Palm Beach while staying at Aruba Phoenix Beach Resort, a Divi resort. Relax on the beach or at the pool or enjoy nearby recreational pastimes. In the area are golf, tennis, nightly entertainment, restaurants, and shopping. Come and enjoy Aruba with all it has to offer. NEAREST AIRPORT Queen Beatrix Intenational (8 miles) How To Get There Exit left out of Queen Beatrix airport follow 1a through traffic circle exiting the third right through downtown Oranjestad. Turn left at stoplight by the Ing Fatum building onto J. E. Irausquin Blvd. Continue to high rise hotel district. The resort is the first high rise on the left. Check - in at front desk at 4pm. Check-out is 11am. Palm Bistro Bar and Restaurant Open Sunday - Saturday 07:00 -22:00 For breakfast, lunch and dinner.